Brent is a graduate of DePaul University College of Law in Chicago, Illinois. 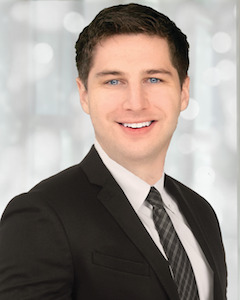 During his time in law school, Brent developed his advocacy skills through international moot court competitions. Brent was awarded Best Oral Argument in the 2016 Leiden-Sarin International Air Law Moot Court Competition held in Jakarta, Indonesia. While at DePaul, Brent was appointed the Chief Justice of the Student Bar Association. Brent also completed an LLM in International & European Business Law at the prestigious Universidad Pontificia Comillas in Madrid, Spain. As part of his LLM, Brent wrote his thesis on securitization and non-bank financial lending which gives him a robust understanding of various financial asset structures that comprise the marital estate of his clients. After completing this LLM, Brent went on to work in Mergers & Acquisitions in the Madrid office of Baker McKenzie where he gained valuable and useful experience on large scale transactions. Brent was raised in Plano and Plano Senior High School where he was a competitive track & field athlete. Brent went on to run track in college at Belmont University in Nashville, Tennessee where he majored in International Economics. Studying economics has given Brent the tools necessary to evaluate a given problem for its most optimal and effective solution. In his spare time, Brent continues to be an avid runner and is a world traveler having visited 25 countries and counting. Brent's goal is to visit 30 countries by the age of 30. On the weekends he faithfully watches his favorite soccer team Atletico de Madrid. Brent is a dual Belgian and American citizen and is fluent in Spanish.